As with most things in life we often find ourselves in a place of always striving for the next best thing. Be it the next best product on the market, the next best job opportunity, the next best home, or the next best relationship….we are always pursuing the next best thing. We go to the best universities, lock down the best job opportunities, marry the best “ideal” husband, we live in the best communities, but yet we are always aiming for more. Why is that? After years of observing, researching, and talking with mothers (from all walks of life) my conclusion is that we (working mothers) are on the prowl for what we believe is the “perfect life”. Again….I ask, WHY? 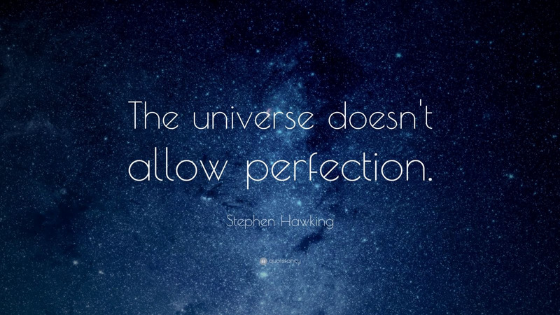 Whelp, the reality is that the notion of perfection is a mere fallacy! Yes….you can finally stop seeking, searching, stressing and lamenting; because perfection is relative. I suppose it can exist but perhaps it is a fluid concept. Let’s face it, perfection, for your stay at home neighbor is a far cry from what perfection may look like for the partner of a progressive law firm. Day in and day out we are all (to some extent) chasing a lifestyle that we “think” may be better than the one we are currently living. Of course, we have the few “Perfect Pattys’” that claim that EVERYTHING is simply AMAZING! You know the women who has the perfect job, the perfect kids, and of course the perfect husband! Let’s not forget she lives in the best neighborhood, she travels the world, she has several degrees from every Ivy League in the country and she has a cute dog that she walks every morning before starting her “perfect day”! Well, let me assure you that “Patty” is more often (than not) falling apart at the seams. She spends so much time painting her “perfect” portrait that she has lost her identity, lives vicariously through her teenage daughter that has decided to major in art and spends most of her quiet moments daydreaming about her alter ego who secretly dates David Beckham. Soooo in all actuality, if things are going well at home, we are dealing with a transition in our career. If we just landed that dream position at work, we are trying to balance managing care for an elderly loved one. 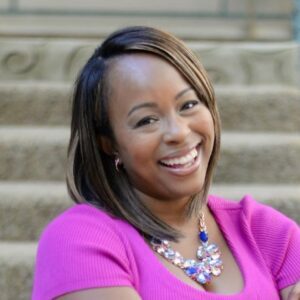 In essence…..it is ALWAYS something going on and there is NEVER a dull moment; especially in motherhood! Although never a dull moment, it is time for us to change the narrative. It is time for women (especially mothers) to own and embrace their endless power. It is time for perfection to be defined on your own terms. It is a timeout for living a life that is crafted and curated for what society has established for working mothers. The time has come for working mothers to create the life that they want and deserve and perfect it along the way. For decades women have been taught, coached, and nurtured to believe that there is only one path to take and anything outside of that path is less than “perfect”. I challenge you to look in the mirror and ask yourself what do you really want out of this life? In addition, reflect on why you want certain things and how and when are you going to obtain them? The more important work will come with dispelling the myth of societal perfection while simultaneously creating and owning a life that is rooted in your personal and internal beliefs of perfection. Damn what society says, what does perfection look like for you and your family. How about you set the standard for perfection (and own it) for your life. If you are going to strive for perfection, make sure that it is your definition and except that it will inevitably look very different from anyone or anything that you have seen, known, or imagined (and guess what…..it is “perfectly” OK)!!! !